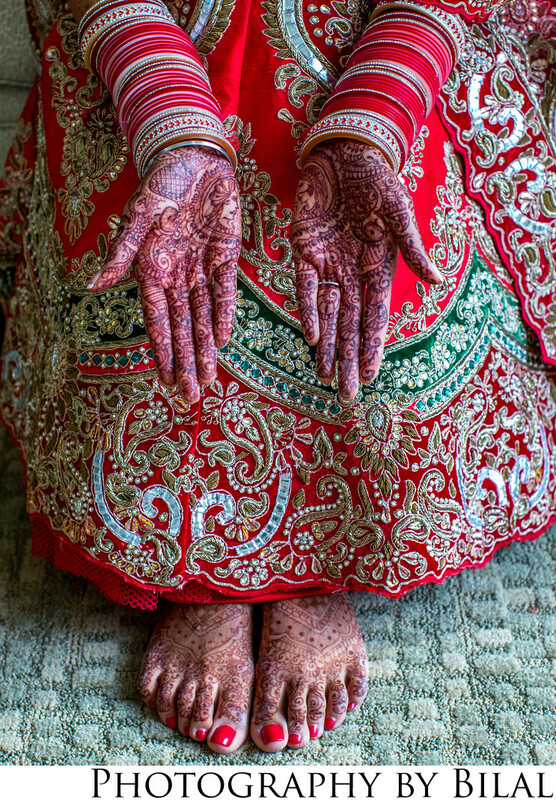 It's always important to capture the bride's henna, both from the hands and feet. With this shot I killed two birds with one stone and got both the hands and the feet. The light was also amazing because we were very close to a window. As a wedding photographer, one thing I always look for is where the good light is. Once I find it, that's where i place my subjects.